The demand is growing for homeschooling statistics research. Why? There is a growing number of parents who are turning from the public schools and looking other affordable options and turning to homeschooling as an option. According to homeschooling facts presented by the National Home Education Research Institute, homechooling saves the government over 10 billion tax dollars per year. However, it is difficult to know exactly how many students are homeschooled in any year to get an exact number. 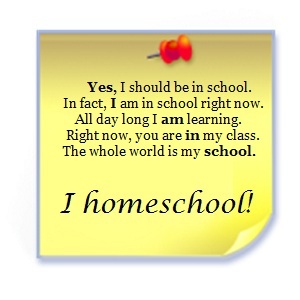 One of the main reasons that it is difficult to get good statistical data on benefits of homeschooling is because in many locations there is not record of how many children are homeschooled. In states like Michigan, Texas and New Jersey, there are no requirements for homeschool parents to register or give any information about their children’s education. Even with the limited research available, children who homeschool have consistently outperformed in many areas of social behavior, test scores, academics and college acceptance. Homeschool students in earlier elementary perform better than average on standardized tests. The median scores for homeschooling students scored between the 70th and 80th percentile of students nationwide and between the 60th and 70th percentile of their private school peers. Homeschool children demonstrated a higher potential for learning critical thinking information and problem solving. Because they are taught directly by their parents, their problem solving skills are not peer-based or inaccurate. Colleges are now actively recruiting homeschoolers. Admissions at some of the most prestigious universities are encouraging the acceptance of these students. For on-going statistical findings, check out the National Home Education Research Institute or the Homeschool Legal Defense Association.